Keeping with the small theme, here are some of the small things I've been up to in the last week. I finished up a total experiment in sewing, using some fabric scraps I had from my first big sewing project, to make this little bird. He's perfectly imperfect. I've been taking loads of tiny photos with the Instagram app. 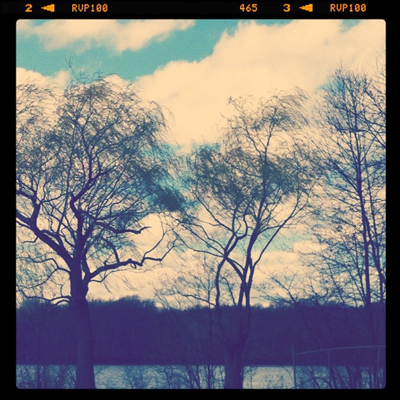 If you use the app, have you heard about postagram? It's a cool way to get your instagram photos in hard copy, in the form of a postcard. I'm going to have to try that out. 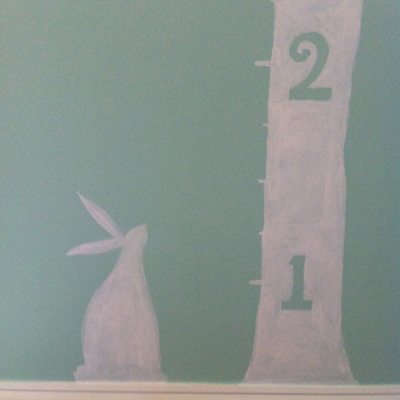 I've also been putting the finishing touches on the nursery, including painting a growth chart tree which I'm in love with. Here's a sneak peek of it in progress. I promise to share photos of the whole nursery in all its glory very soon! I also got a copy of the small and lovely new book by Patti Digh, What I Wish for You. I love Patti's writing. You can find my painting, The Unknown, on page 70! I hope your weekend is full of small beauties! Love the perfectly imperfect bird and can’t wait to see the rest of the nursery. That bunny has stolen my heart. I love Patti Digh’s work, too–congratulations on your art appearing in her book! Darling growth chart and “perfectly imperfect” (awesome phrase) bird, too. 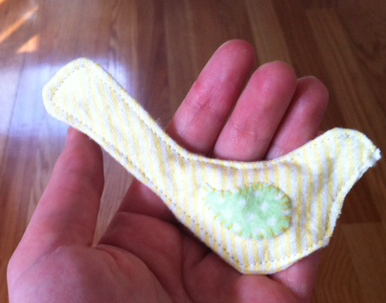 Leah, so great to read about the nursery prep. Magic! Wow, you have been busy! I love the sweet little bird and the bunny watching over your growth tree. I can’t wait to see the finished piece! Thanks for sharing about Postagram. I downloaded the Instagram ap when you mentioned it…so I will have to look into this one too. As always, thanks for keeping us inspired! oh wow I love the rabbit on the wall! It always amazes and awes me how you are able to convey emotion and expression with shape alone. You are so good at that! Hope you and your growing baby girl are having a fabulous Easter weekend. I love the growth chart!! What a wonderful idea. 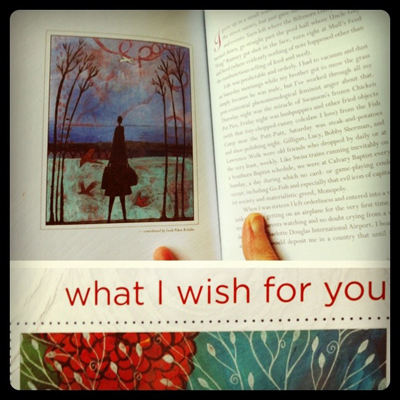 And congratulations on your art appearing in What I Wish for You – a beautiful piece! 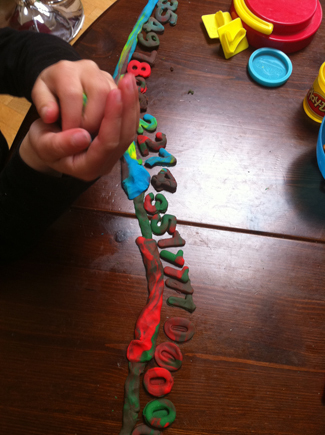 Love the growth chart – you are so amazing!